Freelance writer Casey Ellis likes to serve this dish with a large green salad that includes some bitter greens to play against the souffle's slightly sweet undertone. She uses a 13- by 9-inch ceramic oval dish, but any shallow dish will work as long as the souffle batter fills it no more than 1-inch deep. Preheat oven to 375°. Generously butter a 10-cup baking dish and coat it with a thin layer of the grated Parmesan. Put the dish in the refrigerator while you prepare the souffle mixture. In a large bowl, beat together the cream cheese, sour cream, honey and a pinch of salt. Add the egg yolks and beat until mixture is smooth. In a separate bowl, with clean beaters, beat the egg whites until foamy. Add another pinch of salt and continue beating until soft peaks form, about 3 minutes. Do not over-beat. Stir about a third of the beaten egg whites into the cream cheese mixture and then gently, but thoroughly, fold in the rest. Ease this mixture into the prepared baking dish, set the dish in the oven and immediately reduce the temperature to 350°. 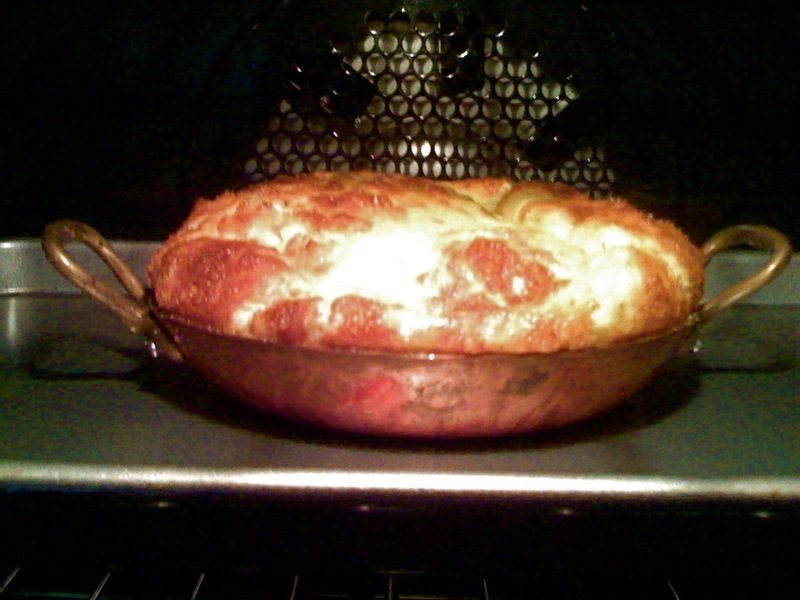 Bake 17-20 minutes, until the souffle is puffed, set and golden brown on top. Serve immediately.